HEAVY rain and gales are set to lash the UK as the remnants of hurricanes Lee and Maria reach our shores. 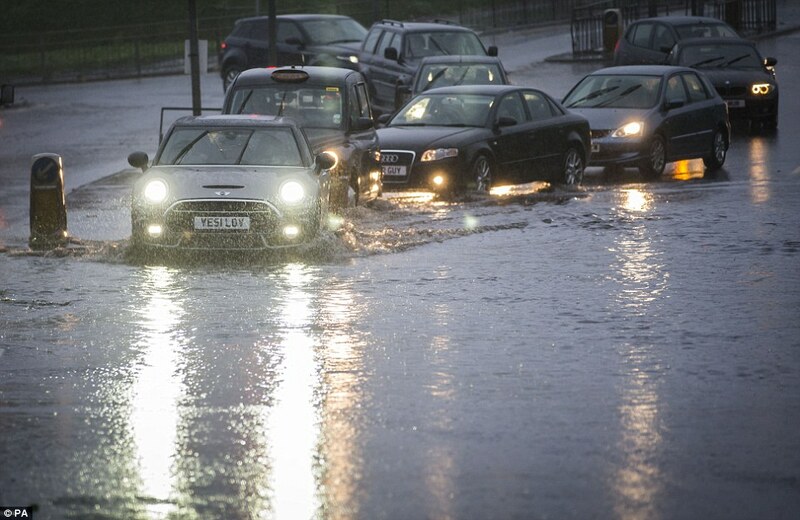 The Met Office has issued yellow weather warnings for Sunday and Monday amid fears of flooding in Scotland, the north and west of the country. Public transport is expected also to be hit by the tail end of the storms that have wreaked so much devastation across the Caribbean. The Met Office website said: “Spells of heavy and persistent rain are expected over some areas of western and northern Britain accompanied by strong winds at times. “Flooding of a few homes and businesses is possible. The stormy spell is expected to hit as Saturday fades into Sunday – with extra moisture and heat from Lee adding strength to showers and winds, particularly in northern and western parts. And, following behind, a “rapidly fading Hurricane Maria will run across the bottom of the country, bringing some rain on Monday”, Met Office forecaster Emma Sharples said. She added: “But after that, it looks a bit more settled, we will see some strong winds on Monday but then generally some calmer weather. The Met Office added the potential effects of Maria on the UK will be very different from those experienced in the Caribbean. Forecasters said that by the weekend these systems will have drifted away from the tropics, and as they lose connection with warmer waters they will lose this source of energy and decline. They added that the waters in our latitudes of the North Atlantic are far too cool to sustain an actual hurricane.